This Thursday, Year One hosted a ‘Toy Workshop’. 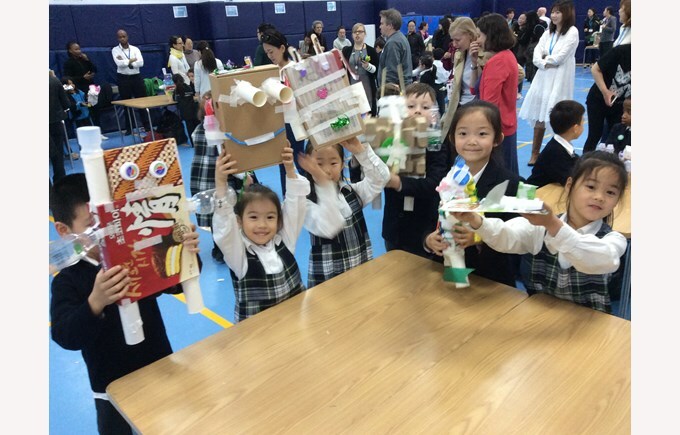 This Thursday, Year One hosted a ‘Toy Workshop’, where the children and parents were asked to work together to create a robot using recycled materials, such as cardboard, plastic and fabric. The children had been collecting these materials for a number of weeks and so were very excited to finally use them! Parents and children alike vied for the different materials, and all the robots were unique. Some were big, some were small, some had jet packs and some had ‘laser eyes’. The atmosphere was electric and it was wonderful to see the children enjoying themselves so much, as well as building some very creative robots from scratch.